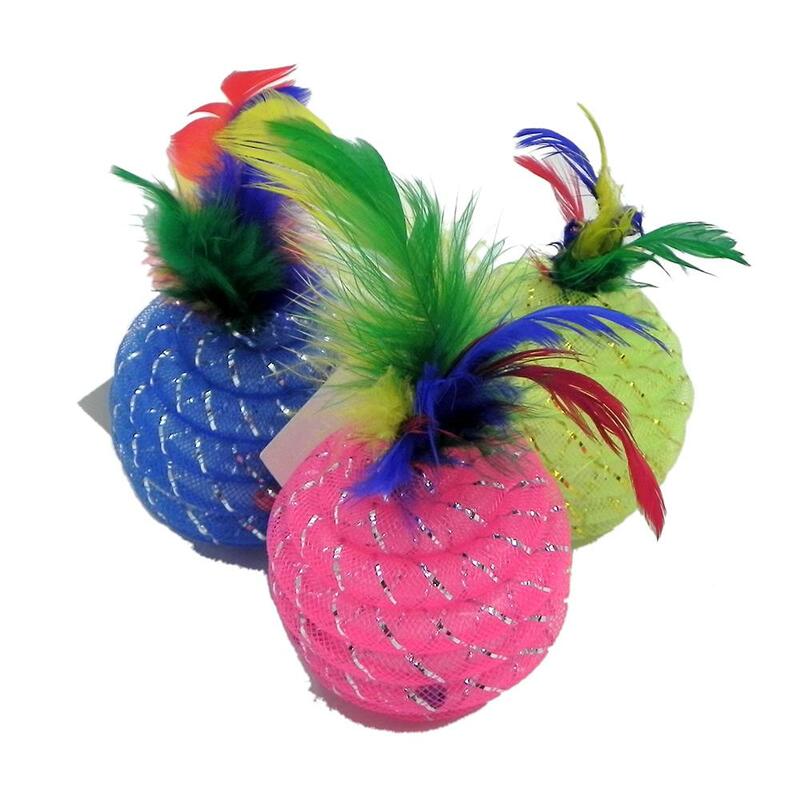 The Glitter Rattleball with Feathers is an extraordinary cat toy adorned with plenty of sparkle, pizzaz, and feathers. This unique toy will be sure to hold your cat's attention for hours! How could any feline resist this amazing toy? Whether by texture or sight, your cat is sure to be engaged all day long. Price is for 3 toys.